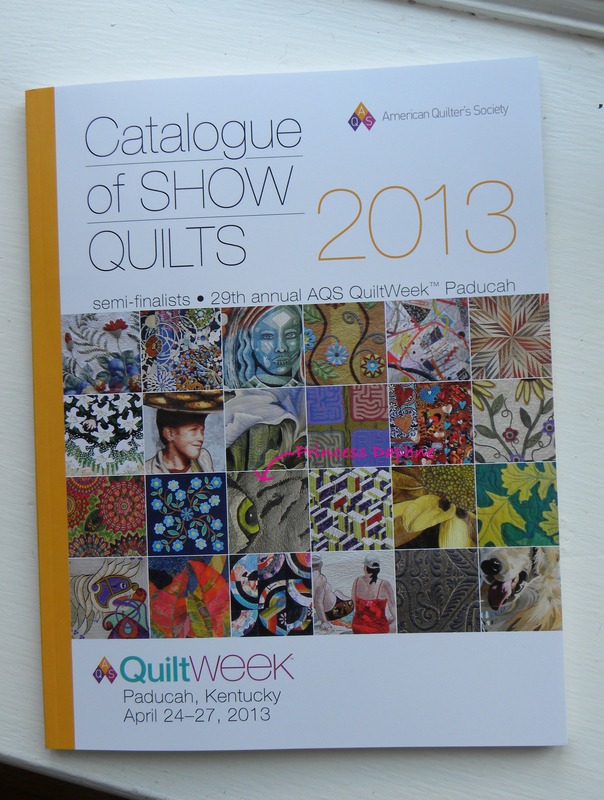 I can’t believe it, but if you look closely at the cover of the catalog of show quilts you will see the detail of “Princess Daphne.” I’m thrilled. 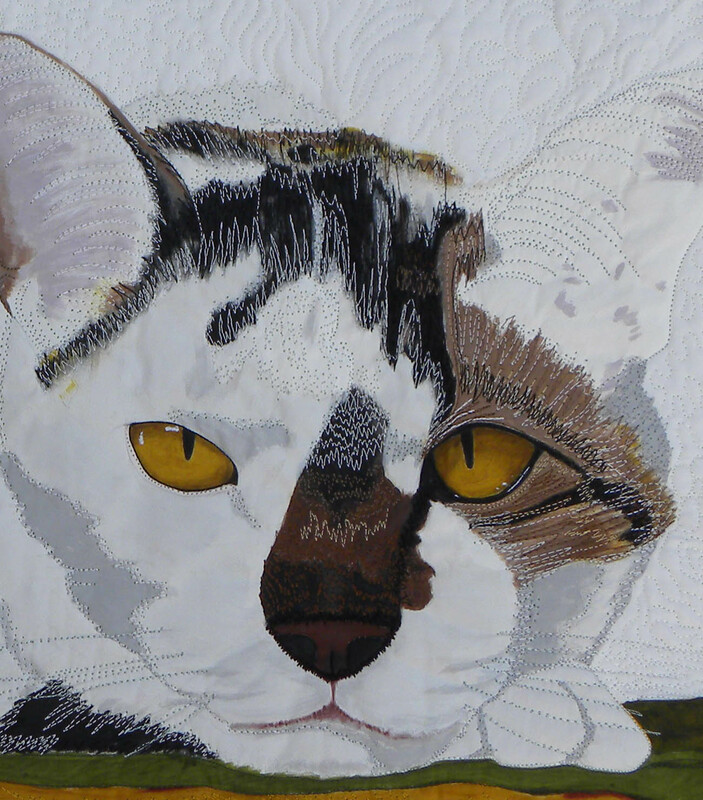 Both my quilts were accepted in the show and now Daphne is part of the cover. Wow, it’s been a big, exciting month. 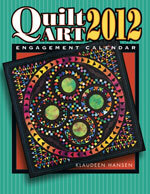 I hope you will pick up a copy of the catalog to see all the beautiful quilts. They are all stunning. Yes, she rules the house and loves it. This piece was whole cloth painted, thread painted, the blue area is hand applique and free motion quilted. I had so much fun working on her eyes. 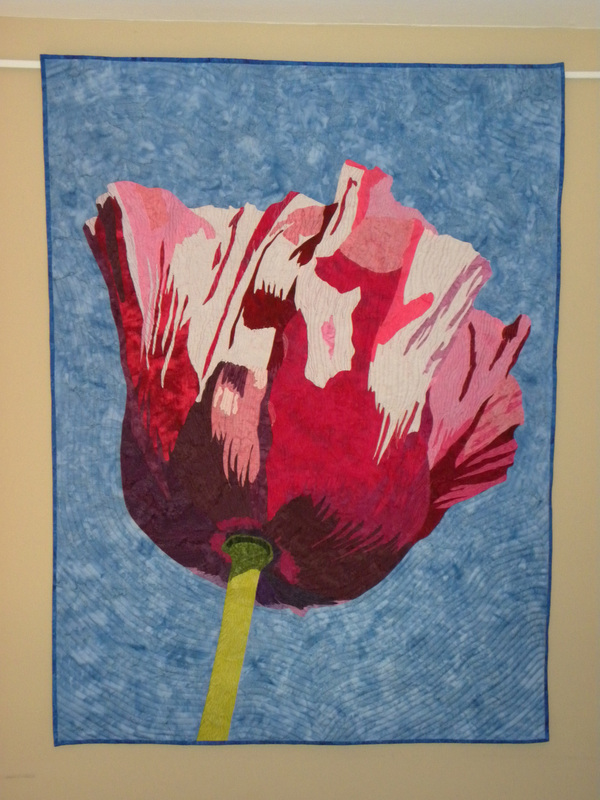 Here is a pic of my other entry “A poppy for mother.” (40″ x 55″) I worked on this quilt while my mother was in the last stages of alzheimer’s disease. It was a great way to get away from all the sadness of her illness. Here is a detail shot. 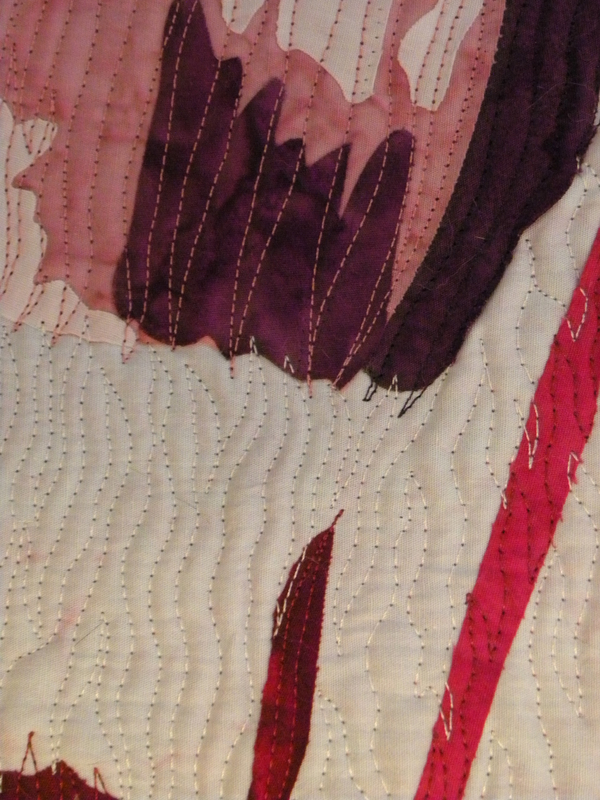 This piece was raw edge applique and free motion quilted. I thoroughly enjoyed choosing all the fabrics for this one. They ranged from red to pink to white to purple to violet. Plus some green for the stem. I shot all the photos of the poppies at Wing Haven in Myers Park. I have several other projects I’m working on currently. I will post about those soon. Here’s my boy Tootie. He is so photogenic. What a beautiful guy. He’s not the brightest bulb but he’s a really sweet kitty. 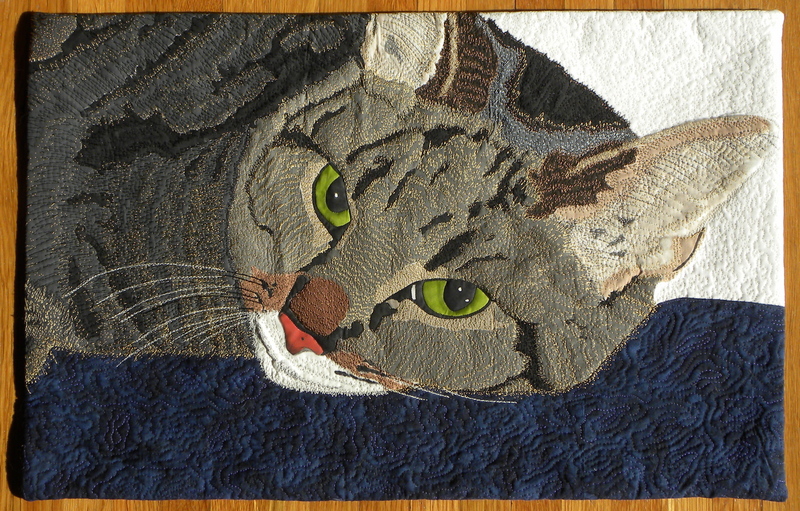 I’ve been wanting to make a quilt of him for a long time. I shot a picture of him one Sunday morning and decided this was the picture I needed to use. 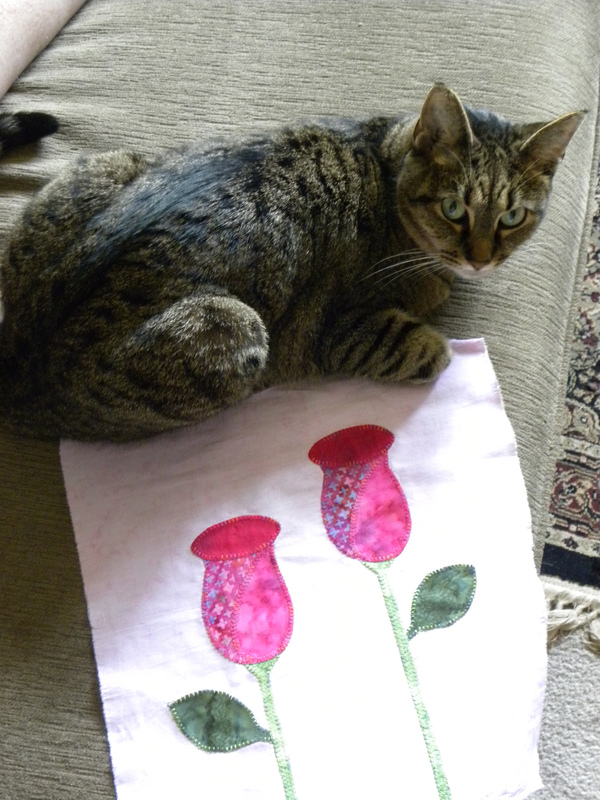 Created with acrylic textile paint on PFD fabric, rayon thread, cotton batting. Thread sketched and free-motion machine quilted. 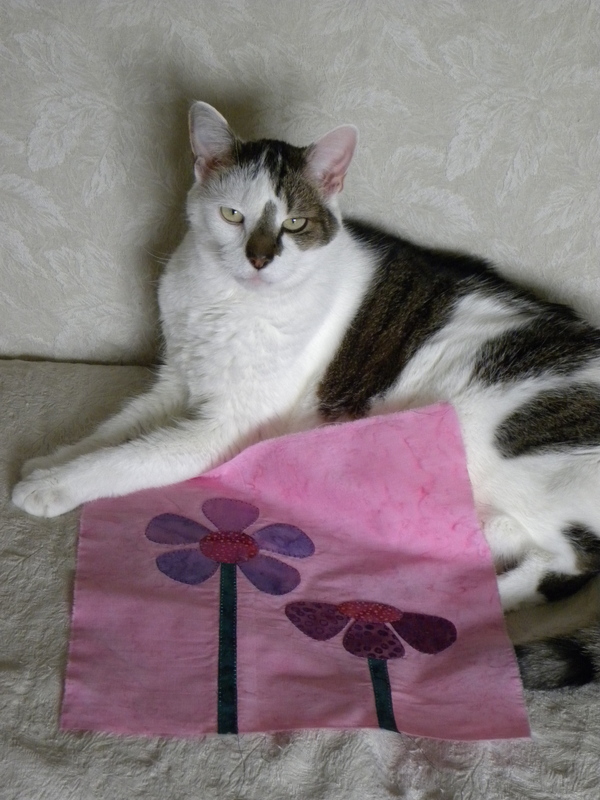 Here’s my boy Tootie with the September block of the month for the Charlotte Quilters’ Guild. I’ve already gotten one of the August blocks from a member who will not be able to attend. I’m hoping for record participation again this month. I have several great prizes for the raffle drawing. So, be sure to stitch up your August block for a chance at one of these prizes. 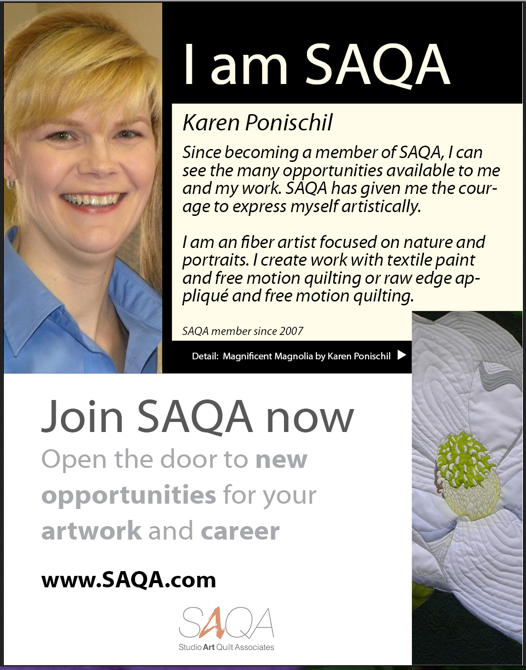 I'm thrilled to be a part of the SAQA membership campaign!